ST. GEORGE — Car plus pool does not have to equal carpool. 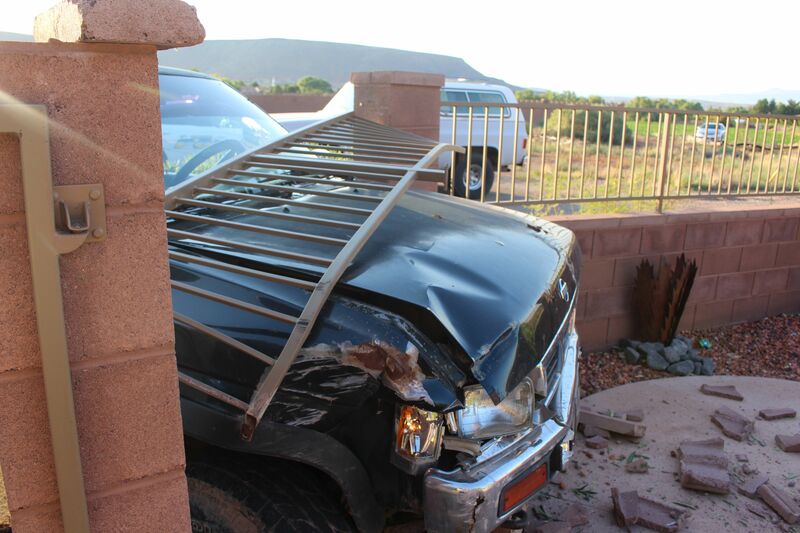 Such was the fortune of a St. George residential complex jarred awake Saturday morning by a compact pickup truck crashing through the fenced wall around its swimming pool. The crash happened at the Cypress Points complex at Stonebridge just off Dixie Drive. Minnick said the suspect was originally contacted by phone after the incident occurred and he tried to talk his way out of it. The suspect was located very soon after that and was apprehended after a very short foot pursuit. “There was nowhere for him to go,” Minnick said. The suspect was given a field sobriety test and was placed under arrest by officers. “There was impairment,” the sergeant said. The man was arrested on charges related to suspected DUI, leaving the scene of an accident and drugs and drug paraphernalia officers said they found on him. Damage to the pool wall is estimated to be in the neighborhood of $2,000, Minnick said. 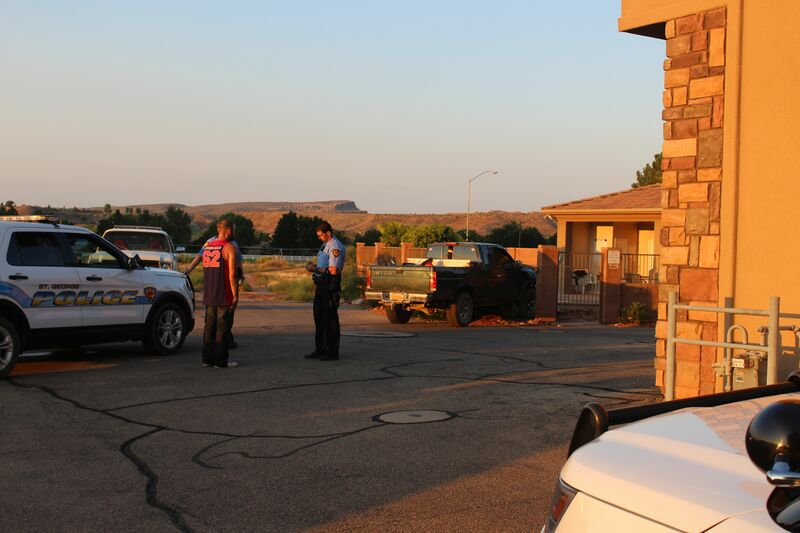 Units from the St. George Police Department and Gold Cross Ambulance responded to the scene. This could of been a very tragic incident but there was no serious injuries or death reported with this accident. Praise the Lord !